Beloved by those who cherish scrappy survivors, Joseph Losey managed to make some dazzlingly off-kilter films, both in Hollywood (1948’s subversive The Boy with Green Hair) and in his adopted England after he was blacklisted. 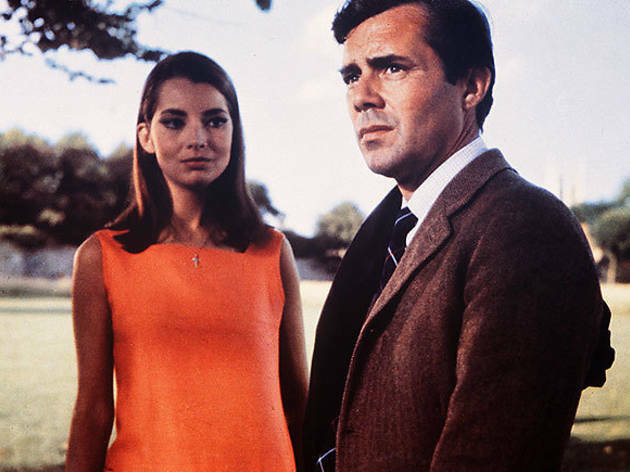 Three projects from his European rebound were collaborations with the playwright Harold Pinter, including Accident, as adventurous in its own way as was Antonioni’s Blow-Up a year prior (or The Usual Suspects, come to think of it). To preserve the movie’s whomp of an impact, we’re just going to give you the barest facts—the first scene will do. It’s nighttime, and offscreen, a car violently crashes. In the eerie stillness, a sweater-clad, middle-aged Brit runs to the wreck, extracting a dazed young woman (but not her date, bleeding out next to her). He takes her home and calls the cops. 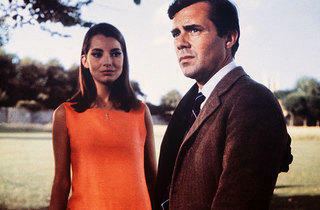 Eventually, in flashbacks, we’ll get to know stammering professor Stephen (Dirk Bogarde), glamorous Anna (Jacqueline Sassard) and Pinter’s effortless way with bottled-up fury. Bring a date, because you’ll need to talk this one through.